We are proud to have another new user for the Margill Loan Manager Software. Texas Mortgage Finance just joined the Margill family. You can visit their website here. I was wondering who I could contact at Margill for help on calculating a rather complex amortization table. Beginning on 6/25/17 – the principal loan amount was $640,000 at an interest rate of 3% – payments of $3,000 to begin on 1/1/2018. 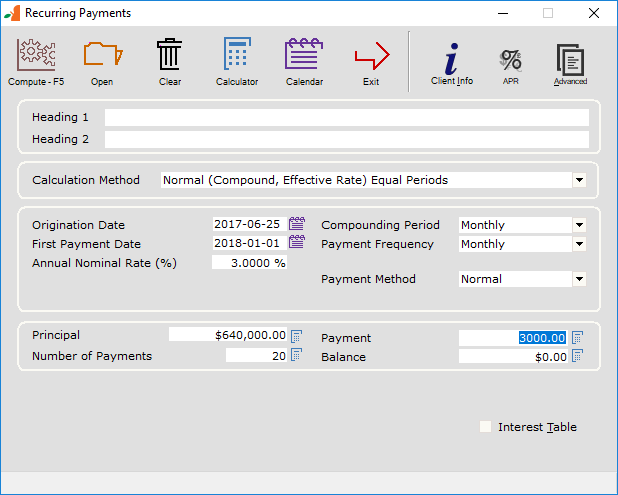 Go to “Recurring Payments” calculation. 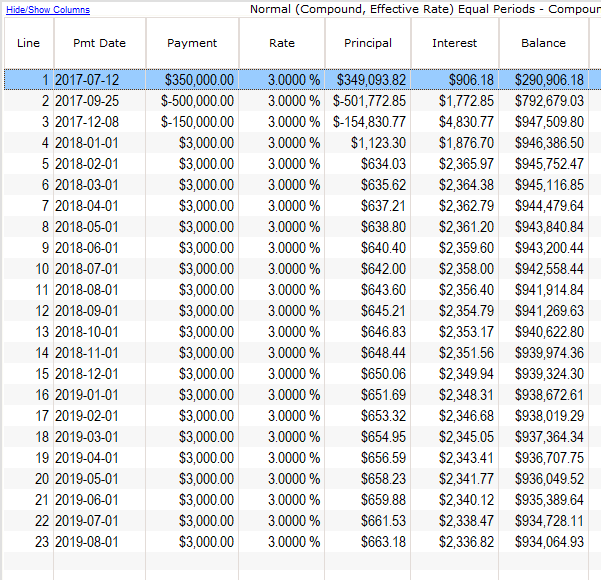 We will suppose this is compound interest, compounded monthly and monthly payments since it is a loan. Let’s suppose 20 payments of $3000 each (if payments are missing or if there are too many, you can add or delete after). 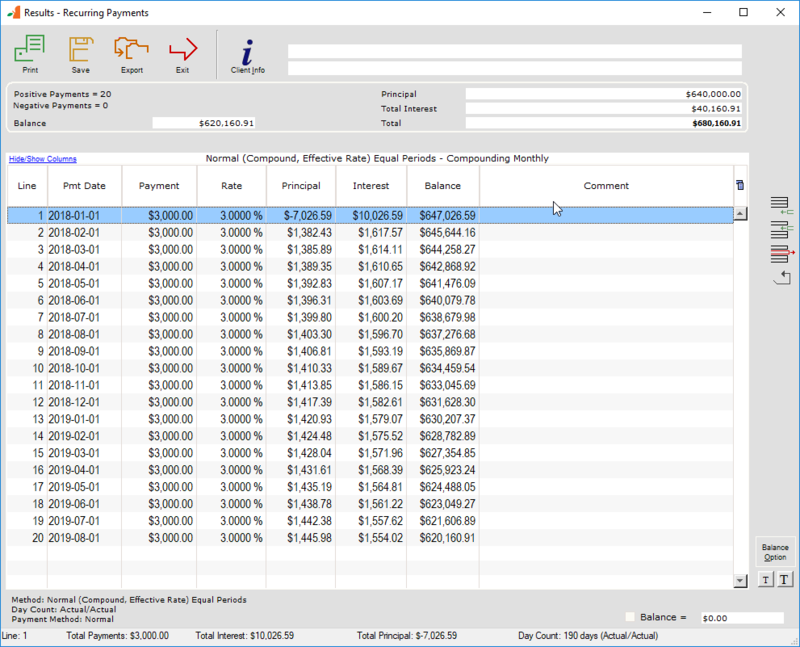 You can now edit the schedule by adding the lump sum payment and extra principal. And finally change the amounts (1 payment and 2 loans). Notice lines 2 and 3 are negative since we are adding principal. We would like to welcome the Nevada Western Interstate Commission for Higher Education (WICHE) as a new user of our Margill Loan Manager software. The Western Interstate Commission for Higher Education is a regional organization created by the Western Regional Education Compact and adopted in the 1950s by Western states. WICH was created to facilitate resource sharing among the higher education systems of the West.